The Vesledahl Wetland Mitigation Project is a combined effort of the Minnesota Department of Transportation and the Minnesota Department of Natural Resources and the Minnesota Board of Water and Soil Resources to develop and restore areas of wetlands that will serve as a "bank" for wetland "credits" to be used to offset damages done to other wetlands for road construction projects. The site of the Vesledahl Wetland Project is in Winger and Garden Townships of Polk County. In June, 1999, a Memorandum of Understanding (MOU) was drafted up between the agencies involved to continue with the development of the project. The MOU detailed each agency's role and responsibility toward the project in teh areas of acquisition, design, construction, operation, and maintenance. In June of 1999, MN DOT began negotiations to acquire the property from the Vesledahl owners. BWSR began the initial design phase for the project. 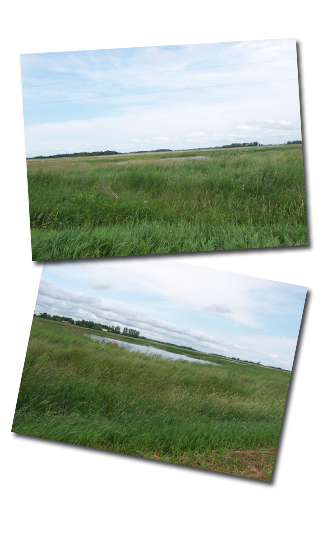 Site evaluations were done to ensure their potential for wetland restoration. Construction was planned for the summer of 2000 and was done in three phases approximately 620 acres per phase. It was determined that each phase woudl be the maximum number of acres that could be constructed and seeded each year as the MN DNR continues with it's management plans for the porperty. The remainder of phase 1 was planted in the fall of 2000. In 2002, BWSR gave the district $21,320 to use the interest towards maintenance for the community ditch system running through the Vesledahl property. Many meetings with MN DOT, BWSR, MN DNR and landowners have produced no results to date. The district continues to be proactive to make this a legal ditch system. The Sand HIll River Watershed District has organzied meetings to discuss the option of making this area into a legal ditch system. To view the proposed drainage system, click here. An informational meeting was held August 17, 2017. Minutes from that meeting can be found here. An informational meeting was held on September 21, 2017. Minutes from that meeting can be found here. An informational meeting was held on October 26, 2017. Minutes from that meeting can be found here.